Plastic rollers are not adequate to hold rear Discovery windows: These are Superior metal window regulator parts for Land Rover Discovery 1 and 2 (as written up in Overland Journal, and seen on Discoweb). 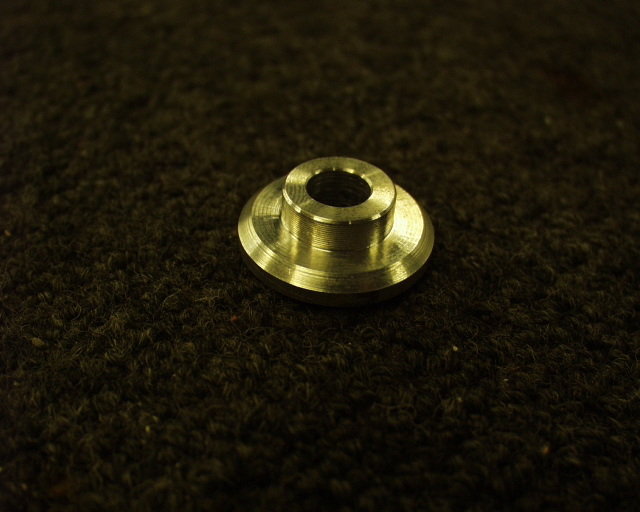 Also fits Disco Series II fitted with round rollers, 1" diameter. Permanent solution to broken plastic window roller problems with these repair parts. Order a pair for both rear windows at a discount. American made. For front regulators these will work too, but at 3 rollers each, new regulators seem too cheap to justify for most folks ... but fed-up people often buy 8 (a whole truck's worth) metal rollers all the time. Any good workshop can install this part onto your old regulator. Takes about ten minutes once regulator is removed. Hand made in the US from 6061 T6 aluminum billet. Instructions detailing how to install and re-use the old pivot pin are included with purchase, or can be purchased separately. Does NOT fit Classic before 1995, nor aftermarket regulators with square window guides ("rollers") found on some Discovery 2.